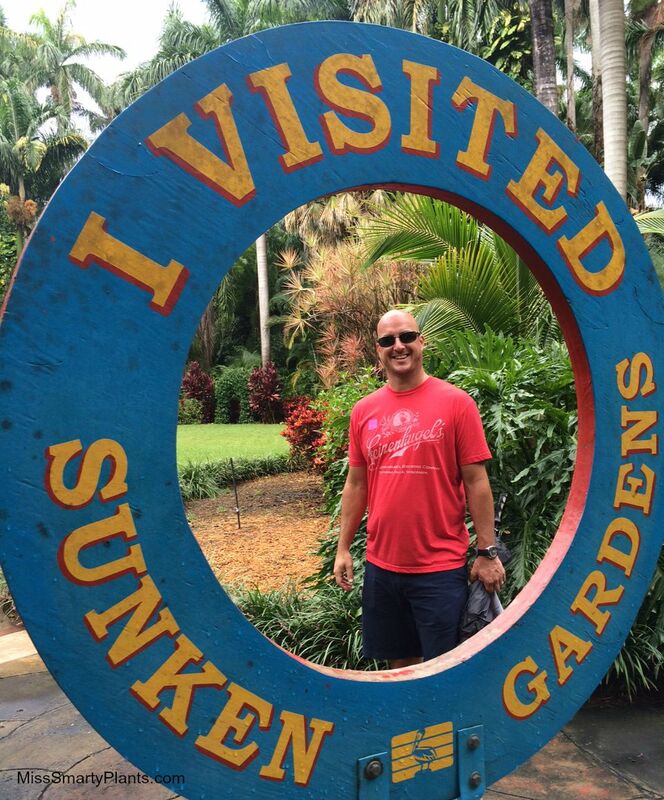 The Sunken Gardens in St. Petersburg, Florida are one of those places that I have heard about many times but never visited, that is until this past weekend when Mike and I took a few minutes to stop by this beautiful little garden. 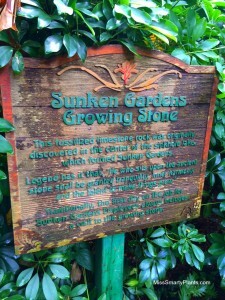 The sign from the road was unlike any botanical garden entrance sign I’ve ever seen! How great is this?! If we were unsure about stopping before, this was certainly going to pull me in! 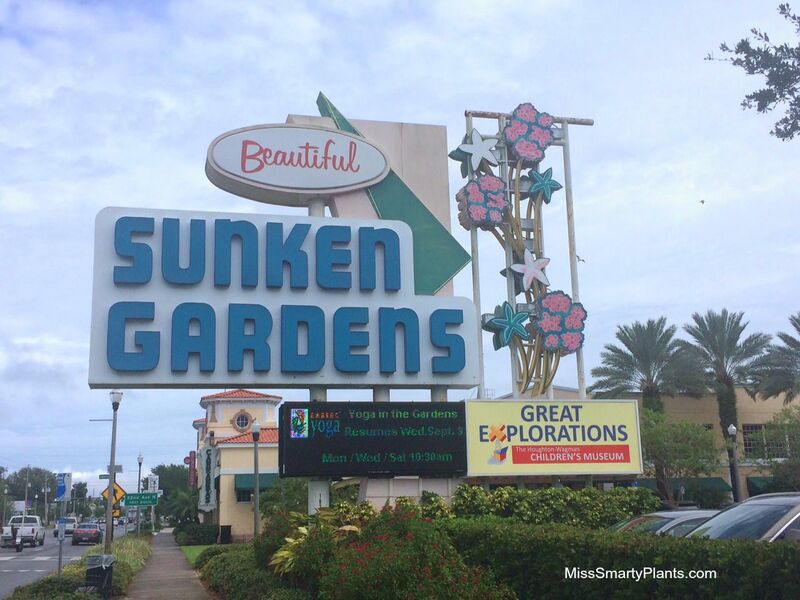 The tagline for the Sunken Gardens is “A Botanical Experience” and I think that is truly fitting. The kitschy sign by the road does not do justice to the high quality of horticulture taking place here. According to the guide map, the Sunken Gardens was a 4 acre property purchased in 1903 by Mr. George Turner, a plumber by trade and avid gardener. 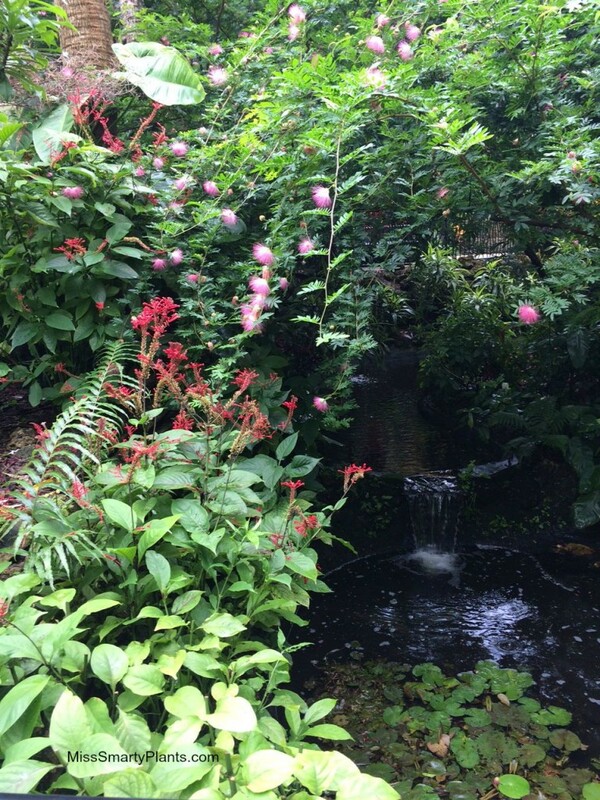 He drained a shallow lake, dropping the soil level to 15 feet below street level and providing a very rich soil to grow exotic plants. By 1924, his amazing garden was attracting visitors who paid 25 cents for a stroll through the beautiful, lush gardens. 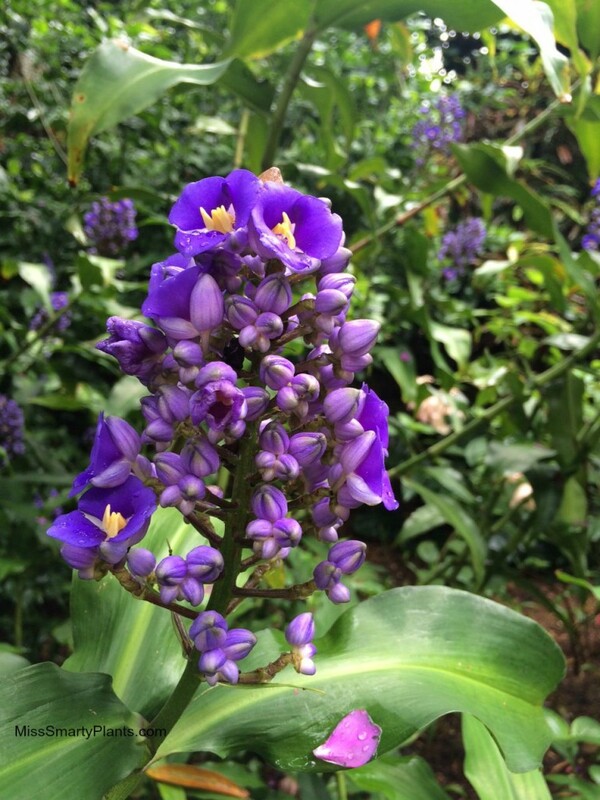 The garden became world renown for its unique collection of plants and colorful blooms. In the 1950’s exotic wildlife was added to the attraction. We really enjoyed the different tropical birds that called to us, including the laughing kookaburras that were full of gusto on the day we visited, as well as the turtles and tortoises throughout. 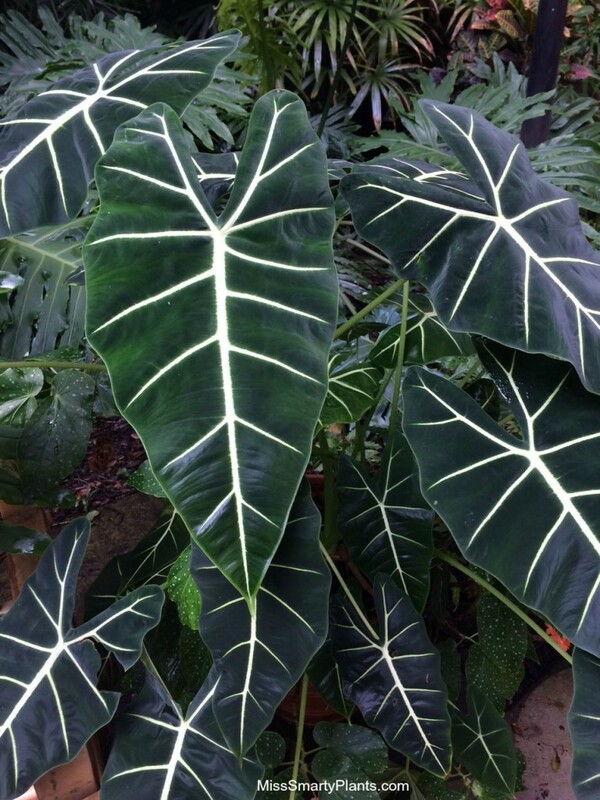 The plants throughout these collections are unbelievable and certainly pay tribute to the passion of a serious gardener. 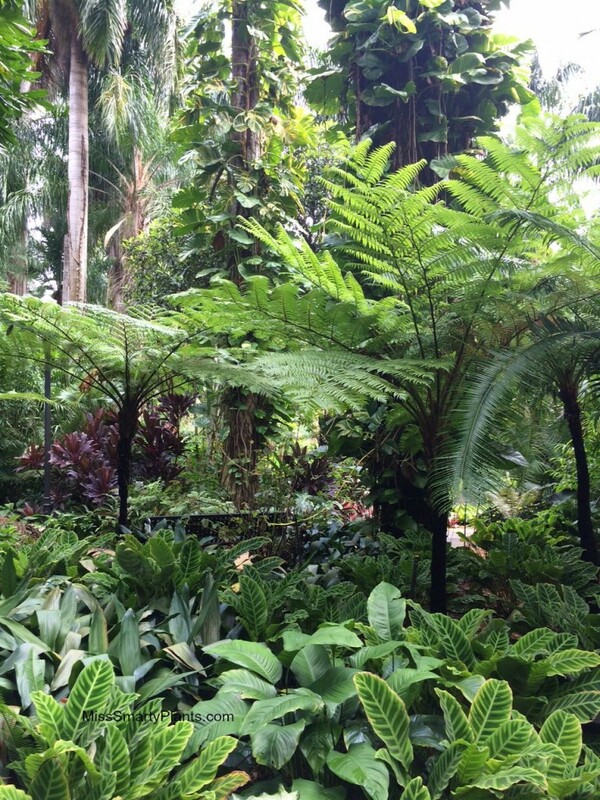 The tree ferns in the photo above are well over ten feet tall and really beautiful. 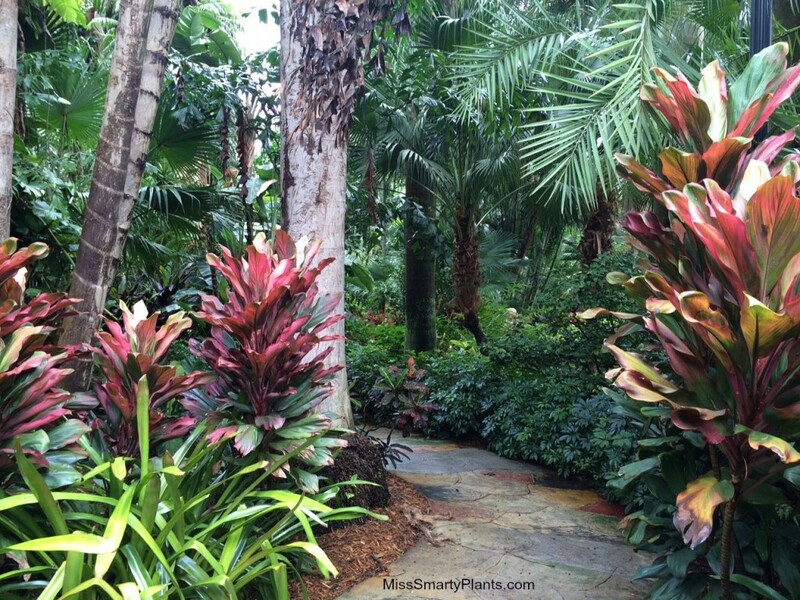 The understory planting of aspidistra and calatheas created a very lush landscape. 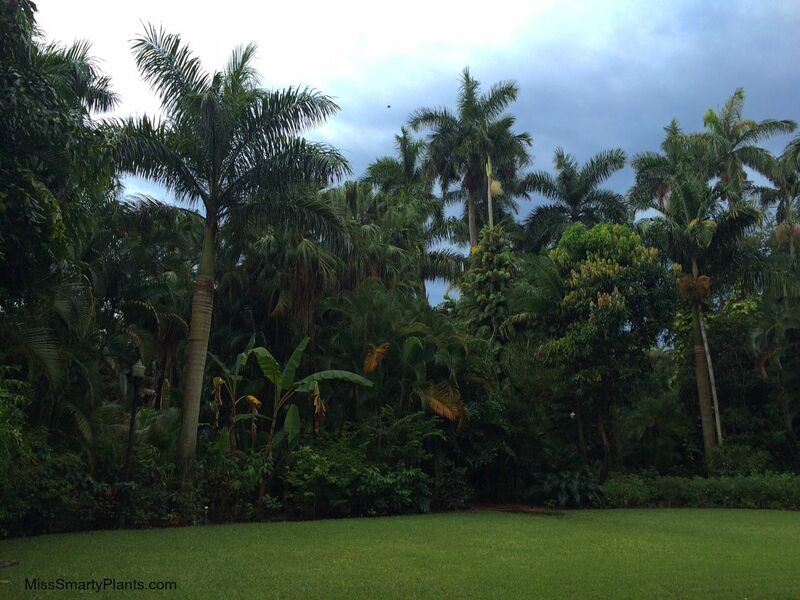 As we walked through the Sunken Gardens I was amazed at the size of the specimen plants and the care of the gardens. They are impeccable. I have this bad habit of pulling weeds in other people’s gardens and I can honestly say I didn’t pull a single weed here! 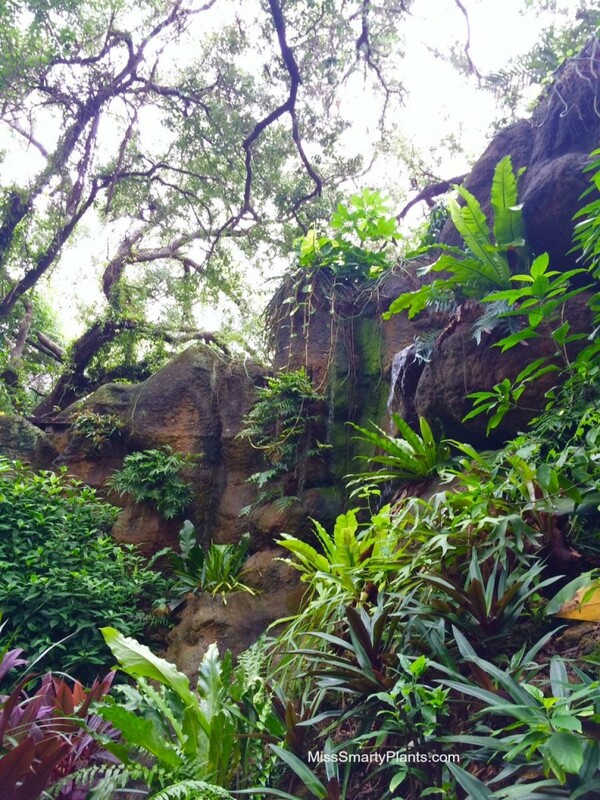 There are ponds and waterfalls at every turn here. 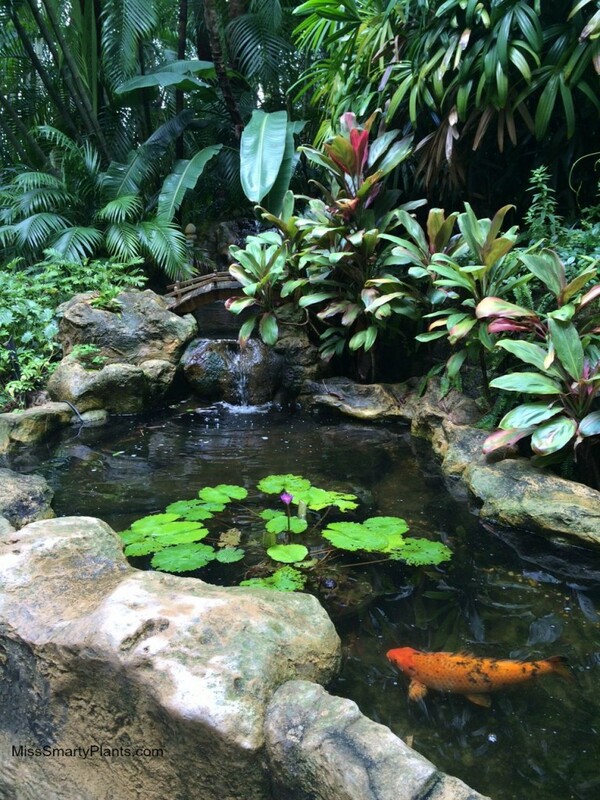 Most are filled with enormous koi (sidenote: they are not hungry! 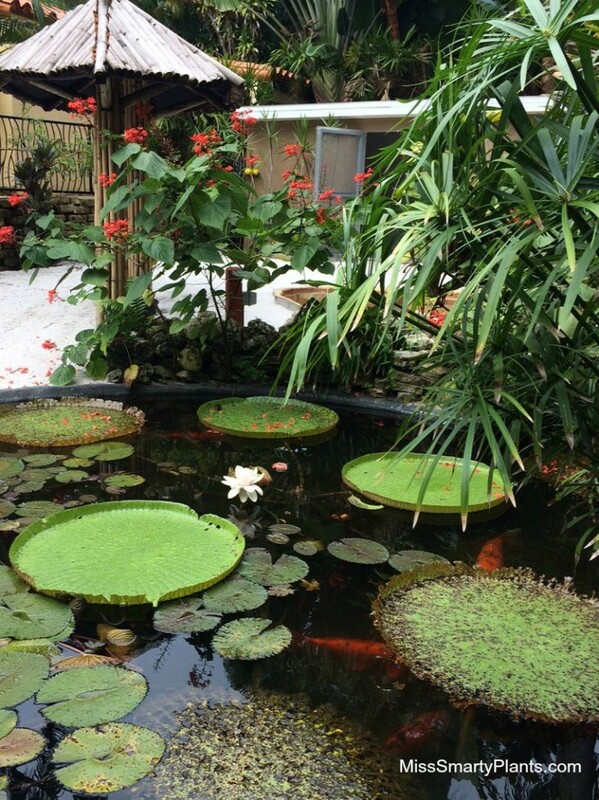 We gave our full bag of fish food to a family as we left) and waterlilies. 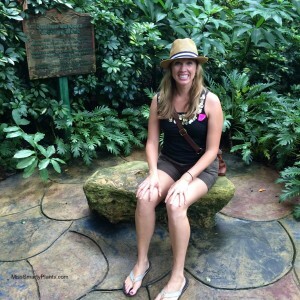 The giant Amazon waterlily is one of my favorites and it was nice to see this one just outside the flamingo area. 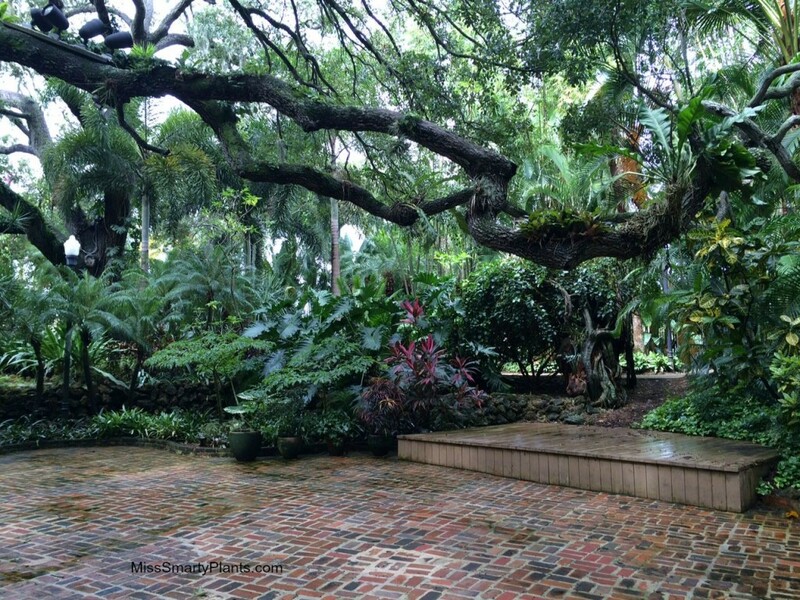 It is a testament to the local government that the Sunken Gardens are owned and operated by the City of St. Petersburg. In 1998 the site was designated as a local historic landmark and in 1999 it was purchased by the City. As you walk through these winding paths it feels almost as if you are in a theme park that has a very large landscaping budget combined with a very smart and picky horticulturist. 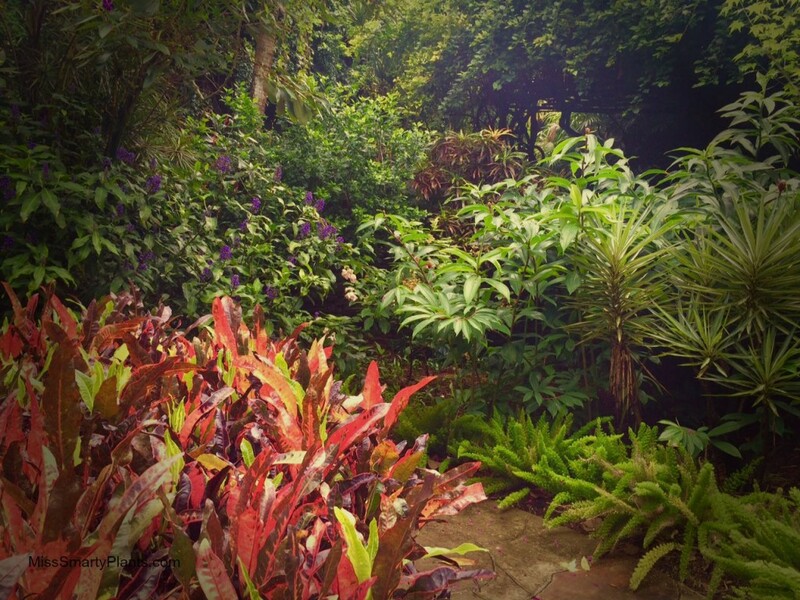 The lushness and details are very well done and the plants are on show. As we explored, Mike even commented several times about how nice these gardens are and how well it is all put together. We walked through the gardens and came across what appeared to be a random stone setting to the side. 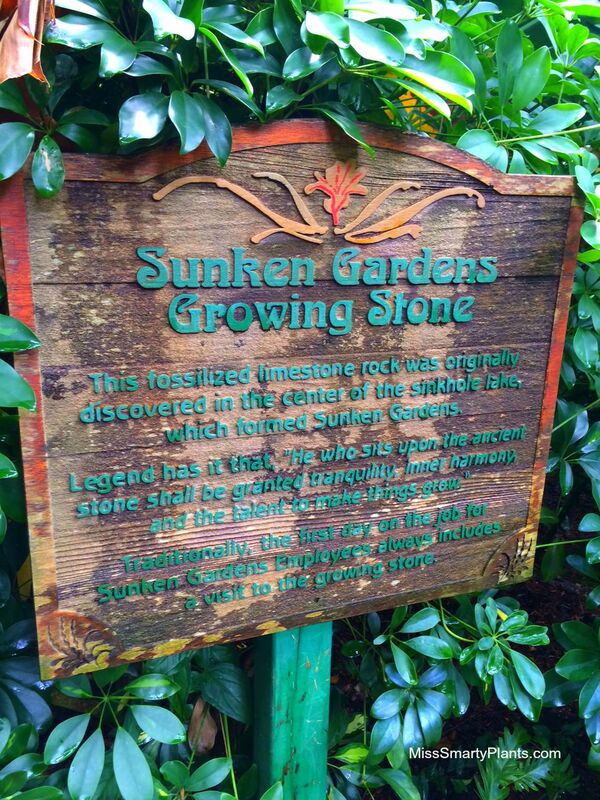 Oh no my friends, this is not a random rock though, this is the “Sunken Gardens Growing Stone.” The plaque reads, “This fossilized limestone rock was originally discovered in the center of the sinkhole lake which formed Sunken Gardens. Legend has it that he who sits upon the ancient stone shall be granted tranquility, inner harmony, and the talent to make things grow. ” Hell yes I am going to sit down on that rock! Doesn’t this photo look enticing??? The battle between rain and sunshine was in full force during our morning here. 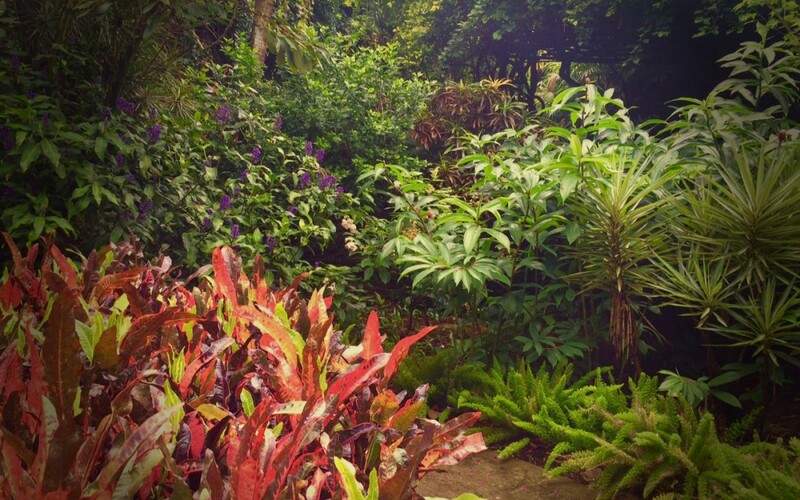 We spent a little under an hour walking and exploring these gardens. I have to be honest, I probably could have spent three hours here if I had been by myself, but knowing that Mike was taking time from our vacation weekend to visit a garden with me forced me to hurry along more than usual. I loved visiting the Sunken Gardens. 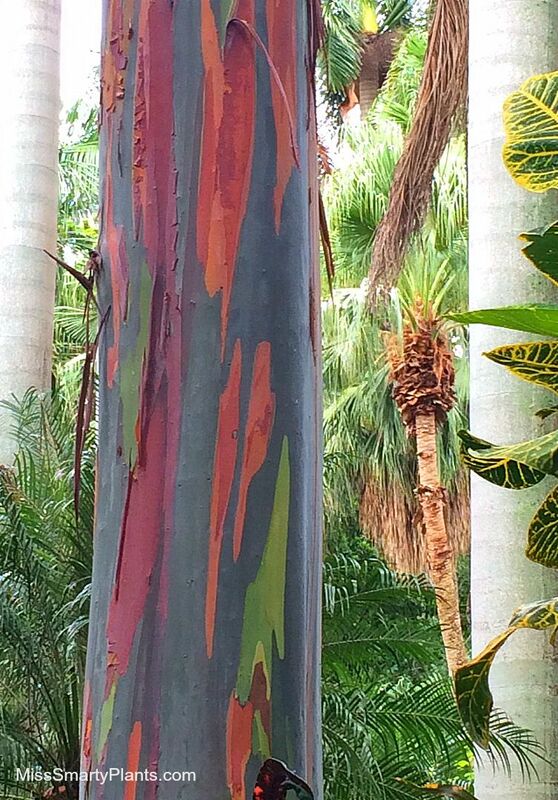 While I was at a meeting with colleagues today I couldn’t help but rave about the beauty here. Even if you aren’t a plant nut like me, it is still one of those places that makes you stop and slow down to enjoy the beauty surrounding you. 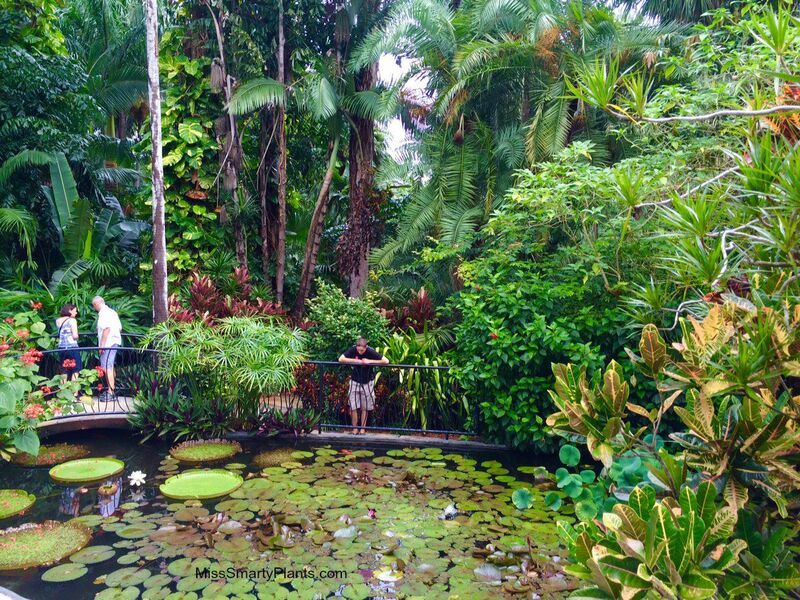 From the calls of the tropical birds, to the largest alligator snapping turtle I’ve ever seen, the Sunken Gardens were packed full of beautiful plants and views.